Connect your computer, monitor or printer to a power strip, wall outlet or PDU, with the connector sitting flush against the outlet. 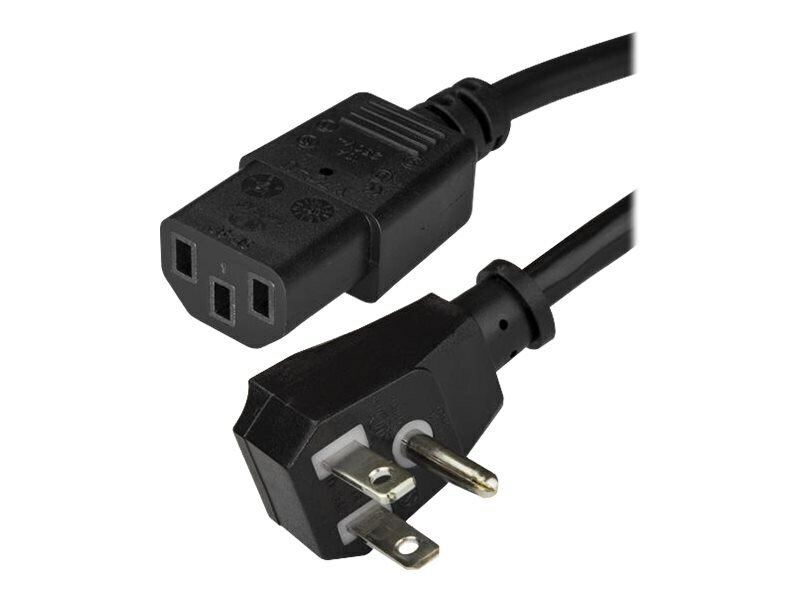 This NEMA 5-15P to C13 power cord features a flat low-profile plug that sits flush against the outlet on your power strip, surge protector or wall outlet. The flush connection saves space and helps to avoid blocking other open outlets. The power supply cord is constructed of top quality materials, and designed to provide a durable, long-lasting connection to your peripheral devices. It makes a suitable replacement for worn out or missing computer, monitor or printer power cords.